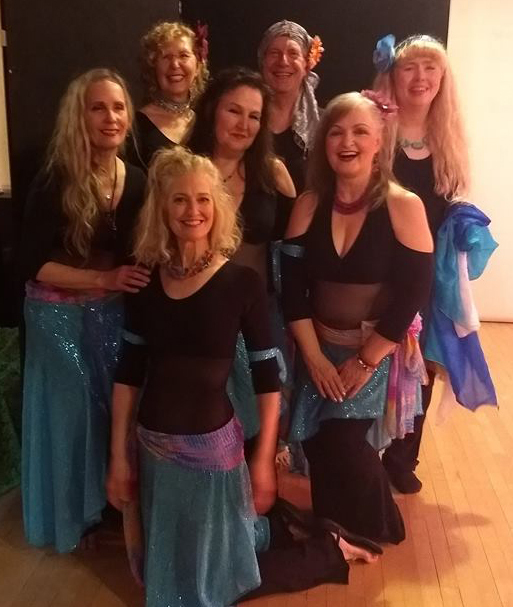 Do something fun for yourself this Spring...try belly dance! Spring Session began Monday, April 1 - no joke! Come have fun with us! Winter Session is finishing up in a few weeks, but you can still drop-in. Bloomington classes will meet. If you go out, drive safely! Go to the Schedule section. FIRST-- Check the Calendar to be sure class is being held. Basically, you can only park in the two lots overnight on day 1 (if they're plowed), and after that you can park anywhere except 31st Street. Here's the link to the main Minneapolis Snow Emergency map. Day 1: 9:00pm to 8:00am (overnight). OK to park in lots once they're plowed. 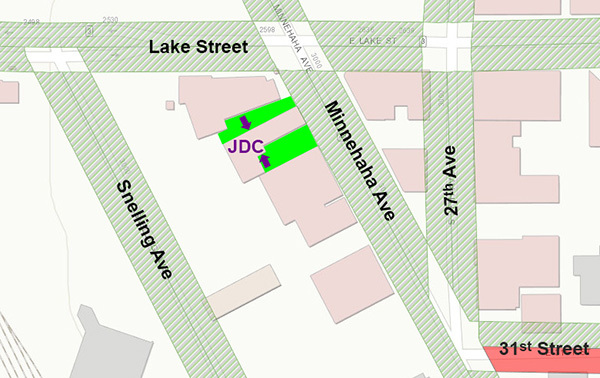 No parking on Minnehaha or Snelling. OK to park on 31st Street. Day 2: 8:00am to 8:00pm or until fully plowed. 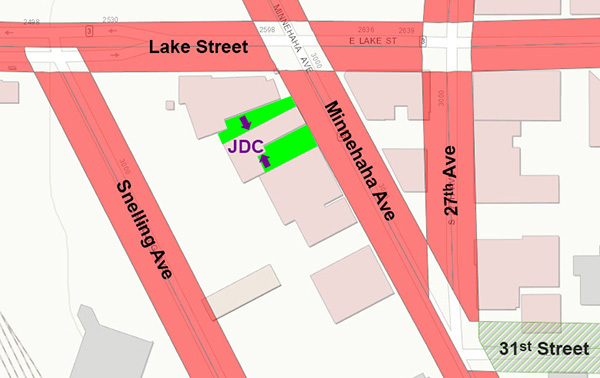 OK to park in lots, on Minnehaha, and on Snelling. No parking on south side of 31st Street. Day 3: 8:00am to 8:00pm or until fully plowed. OK to park in lots, on Minnehaha, and on Snelling. No parking on north side of 31st Street. Scroll down to the Schedule section. Click a Class Levels button to see the classes we offer. Tell the instructor you're there for your free class. If you have any questions, call the office at 612-872-6050. Fill out the form, click submit, and we'll send you an email with a code to bring to class. If you're still having trouble, call the office at 612-872-6050. I have never taken classes at the Cassandra School before. 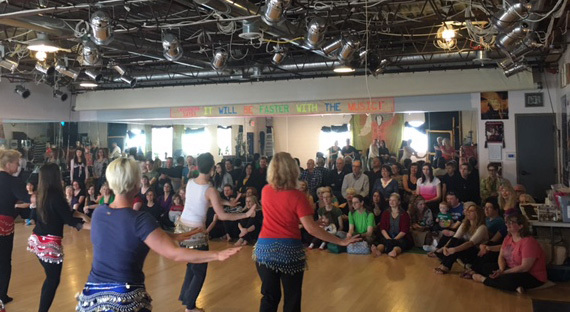 Belly dancing for fun, fitness, and grace! 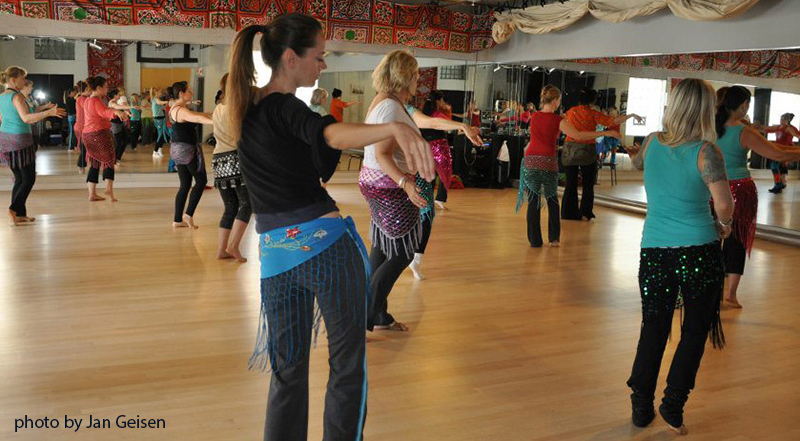 Join women of all ages, sizes, and levels of experience to participate in the creative expression as well as the health and fitness benefits of Middle Eastern dance. The beauty of this dance form is that it makes you feel wonderful in your own body, no matter its size or shape. We challenge all students to achieve a personal best! If you've never danced before, or even if you have done another type of dance, Level 1 is the perfect class for you: basic dance movements, rhythms, dance combinations, conditioning, isolation practice, and introduction to finger cymbal patterns with dance steps. Wear comfy clothes, your bare feet, and a big smile! Classes are not expensive: only $18 for an hour and a half class, and some discounts! Your first class is free. Try it! You’ll like it! Still not sure? See the FAQs for answers to the many questions we know you have! Then give Level 1 a try—we know you’ll have fun! 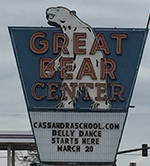 The Cassandra School is the teaching arm of the renowned Jawaahir Dance Company, the premier professional Middle Eastern dance company in the Midwest. Our school was established in 1978 and offers year-round classes in Middle Eastern dance ranging from beginning to professional. All our teachers are members of Jawaahir, and have many years of teaching experience. We run four 10-week sessions each year, with more than 15 classes per week in Minneapolis and Bloomington. One could say she’s achieved her goal and then some. Many of her earliest students achieved professional dance status and have even retired. Cassandra’s still going. What keeps it fresh for her? “It’s my life’s path: to be a dancer, teacher, and coach. It’s an evolution and a lifelong commitment.” Cassandra is deeply committed to her students, Jawaahir Dance Company, performing, and choreography. That she is a masterful teacher in addition to all that she does, makes her a legend among other teachers and performers. 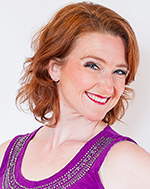 Angela started teaching in 2007 and currently teaches a mixed level 1‐2 in the Minneapolis studio. In her classes, she likes to keep things light and fun while focusing on the basics. “I think a solid foundation is really important. I enjoy breaking down movements for my students, and working with them in class, in ways that actually feel like dancing.” In keeping with Cassandra’s philosophy, she recognizes that not everyone wants to perform, but she teaches the class with professional level standards. Aliyah Sahar started dancing when she was 3, but it wasn’t until 1989 that she discovered her love for Middle Eastern dance. She studies with Cassandra as well as traveling around the US and Egypt to study with other renowned Middle Eastern dance instructors. Jenny has been teaching through The Cassandra School since 2001 and was a Jawaahir Dance Company member from 2000 to 2018. As a teacher, she is committed to breaking down movements so they are accessible. “I use a lot of imagery and metaphor. I really want students to understand the movement, not just copy me.” Her students get the added benefit of her background in movement and posture as a professional dancer who’s performed both ballet and belly dance. Kathy sees herself as living proof that even if you don’t feel like you are a born dancer, you can achieve new levels of grace and fluidity by studying it. As a young woman, Kathy always worried that she “looked odd” and clumsy on the dance floor. As a college student in Madison, WI she secretly started taking jazz and ballet classes to address her awkwardness. Then the day she slipped in to see the Middle Eastern dance class do a noon‐time performance released something obstinate within her. “I thought, oh my god, I am so wrong about this dance form. It was so intriguing. The women were graceful and had wonderful control. I loved their feminine costumes, so right then I decided to add Middle Eastern dance to my class schedule.” After a couple years, she moved to Chicago and kept studying with the renowned dancer Dahlena. But the chance to see Cassandra perform at a Turquoise International event changed her life’s path once again. 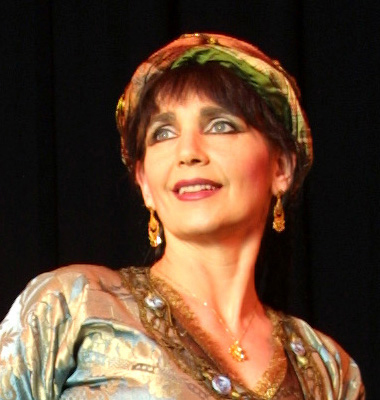 Margo Abdo O’Dell is a renowned teacher, performer, and choreographer of Middle Eastern dance. 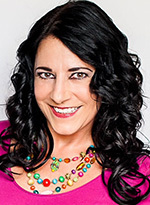 Noted for her polished technique and expressiveness, exceptional teaching skills, compelling theater productions, and informative articles, she has been a leader in the national Middle Eastern dance community. Her local theatrical presentations portrayed an array of dances from, in, and around the Middle East as well as interpretive works grounded in traditional and contemporary movement genres, always inspired by her Lebanese heritage. She received numerous grants for her work from such funders as the Minnesota State Arts Board, Jerome Foundation, Travellers, Women’s Foundation, McKnight Foundation, and more. Her performance video,Tajdeed, has been reviewed and highly recommended. Repeatedly criss-crossing the country to teach, perform, and share this vibrant, passionate tradition has been a profound honor and pleasure. The receptiveness of students and audiences to engage with Arabic culture provides much gratification, especially in difficult global times. Margo’s early dance training encompassed ballet, modern, tap, jazz, and Middle Eastern dance instruction from the finest choreographers/instructors in the U.S. and Middle East. 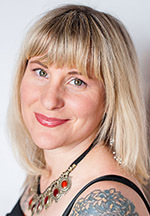 She also brings her experience as a certified Integral Yoga Hatha instructor to her teaching and coaching. Each life phase brings new challenges, prospects, and modes of creative expression. Margo invites her students along for the ride, the opportunity to gain personal insights, and experince the elation of uniting body/mind/spirit through movement. Dance, like yoga, should be a joyful celebration, not a competition. Be prepared to have fun in her classes! Cassandra is her long-time friend and mentor and Margo is grateful for her years of encouragement and support. Margo was an original instructor at The Cassandra School and is delighted to return. 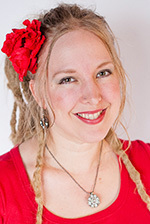 Renee has been teaching belly dance for about ten years, and it has always been her goal to be a teacher. “I just love teaching. It’s such a positive experience for students to dance with other dancers who are also studying together. The most important thing for me is that people enjoy themselves and connect with the movements and music.” In her classes people are encouraged to dance and feel moved by the music. It is also how Renee performs, expressing joy and connection to the art form. Now that Renee’s an instructor herself, currently teaching levels 1, 3 and a mixed level 3‐4, she said Cassandra’s influence has been so important to her teaching style. “It’s important to me to teach people things I’ve specifically learned from Cassandra, and that is to connect to the roots of the dance and respect the culture it comes from.” From Renee’s perspective, it’s one of the things that distinguishes The Cassandra School from many others—the attention to dance technique and Arab culture. Teacher bio text written by Patricia Cumbie, except Margo. Photos by Terra Sura, except Cassandra and Margo. The Cassandra School has a multi-level performing group, Khazanah, that performs at local events around the Twin Cities. It's open to current students. Please be 39 years old or over. Be available for weekly rehearsals on Thursday evenings. Take at least 3 classes per month at The Cassandra School. I really want to express my extreme satisfaction in the classes we've had! Our instructor infuses humor into everything, has made us feel right at home, has explained everything just wonderfully, and has helped each of us individually at each class. We came to The Cassandra School feeling a little intimidated to study with the masters here in the Twin Cities area. We have been so pleased, and we really wonder why we didn't come to you earlier. If you need to get in touch with us, call the office at 612-872-6050 or email us. Subscribe: We email class flyers, a quarterly newsletter called Beledi Beat, and notices of special events. If you’d rather receive paper in the mail, just add your address to the email that opens when you click the subscribe link. Of course, you may unsubscribe at any time. You can find The Cassandra School on Facebook and YouTube. You can, of course, also find Jawaahir on Facebook, Twitter and YouTube. Meet your teacher. Thank you for dancing with us - enjoy! Saturday, March 17, 2018. 1:30—3:00pm. Here is a chance to show what you've been learning and polishing. Free and open to the public, it's a chance for you to invite friends and family to see your progress and to have fun! In Minneapolis. Join us at our Open House for FREE mini classes in Minneapolis. *NEW STUDENTS - receive $10 off your Winter Session when you register at the Open House! You may stay as long as you'd like to try as many free classes as you'd like. Light refreshments provided. See our schedule below. April 1 — June 9. (Spring flyer pdf) Check the Calendar for current info. If you are a brand new student, your first class at The Cassandra School is free. Levels 1 and 2: Classes are $18 for a single class or $160 for 10 classes (12% off). Levels 3 and above: Classes are $20 for a single class or $180 for 10 classes (11% off). Session Make up Classes: You may make up any missed classes in any other class of the same level or below, at either location, during the 10 week session. Just go to your make up class and tell the teacher which class you are originally registered for and that you are doing a make up. Student Discount: Show your current student ID to your teacher for $10 off a 10-week session. Register at your first class. Monthly Class Pass: Good for one calendar month of unlimited classes. Levels 1 and 2, only $105. Levels 3 and above, only $115. No carryovers to a different month. This is the perfect class for beginners: basic dance movements, rhythms, dance combinations, conditioning, isolation practice, and introduction to finger cymbal patterns with dance steps. *NOTE: Renee's Sunday, Level 1 class will begin on April 14th. Basic dance movements, rhythms, dance combinations, conditioning, isolation practice, and using finger cymbals with dance steps. Coordination of dance movements and music. Dance movements built on the basics learned in Level 1. Continuation of basics, conditioning, isolations, and addition of more complex movements. Introduction to veil dancing, with additional work on finger cymbals and coordination of dance movements and music. Introduction to advanced rhythm and movement concepts, improvisation, intermediate cymbal and dance techniques, and layering of specifically Oriental dance movement. More rigorous conditioning. Introduction to Arabic/North African folk styles. Continuation of all prior techniques. *NOTE: Renee's Sunday, Level 3 class will begin on April 14th. Advanced rhythm and movement concepts, improvisation, intermediate cymbal and dance techniques, and layering of specifically Oriental dance movement. More rigorous conditioning. Continuation of folk styles and rhythms. Advanced movements, layering, combinations, choreography and concepts, improvisational class work, individualized performance exercises; continuation of folk styles and rhythm explorations. Advanced cymbal proficiency with movements. Professional class — all of the above and enhancing performance skills! You may register for the whole session and pay online, register for a class and pay per class when you come to class, or buy a Monthly Class Pass below. June 18 — August 26. (Summer pdf) Check the Calendar for current info. Make-up Classes: You may make up any missed classes in any other class of the same level or below, at either location, during the 10 week session. Just go to your make-up class and tell the teacher which class you are originally registered for and that you are doing a make up. Monthly Class Cards: Good for one calendar month of unlimited classes. Levels 1 and 2, only $105. Levels 3 and above, only $115. No carryovers to a different month. Just drop in for a single class, or buy a monthly class pass below. August 27 — October 6. (Special Session pdf) Check the Calendar for current info. Levels 1 and 2: Classes are $18 for a single class or $80 for 5 classes. or drop in for a single class. Check the Calendar for current info. The classes listed here in the buttons below are pay-per-class at $18/class for Levels 1 & 2 and $20/class for Levels 3, 5, & Technique Intensive. Find a class, go to that class, pay at that class. Easy! For a complete listing of all the classes we offer, check Bring a Friend Fall Session and register now for your 10-week session beginning October 8th. September 5 — October 5. All classes FULL.No single class drop-ins permitted. Check the Calendar for current info. Come and support your fellow dancer, friend, family member, or coworker by attending Cassandra's Cabaret on Saturday, October 6th at 8pm! This cabaret is open to the public and features the incomparable Cassandra, three professional dancers, and the students from this Performance Adventure series. Reservations are $30 and seats are not reserved until payment is received. September 5 — October 5. No Monthly Class Passes accepted for these classes. No single class drop-ins permitted. Check the Calendar for current info. Learn a new choreography created just for your level by your CSBD teacher. Then, perform it for your friends and family on Saturday, October 6 at Cassandra's Cabaret! Intermediate (Lvl 3) is $160 and will run 4 Sundays: 9/9, 9/16, 9/23, & 9/30 and 4 Mondays: 9/10, 9/17, 9/24, & 10/1. View flyer! Intermediate/Advanced (Lvl 4) is $200 and will run 5 Wednesdays: 9/5, 9/12, 9/19, 9/26 & 10/3. View flyer! Advanced/Professional (Lvl 5) is $200 and will run 5 Fridays: 9/7, 9/14, 9/21, 9/28, & 10/5. View flyer! Pre-registration encouraged by August 29th. Space is limited so register now! Must have 5 registered students to hold class. October 8 — December 23. (Fall pdf)Check the Calendar for current info. Too excited to wait for Winter Session and want to try belly dance now? If you are a brand new student, try your first class for FREE! Just pick a Level 1 (beginning) class, that works for you, from the schedule listed below. Then, show up to class and tell the teacher you'd like your free class. It's that simple! Current or past students of The Cassandra School: just pick a class from the schedule listed above. Then, show up to class and pay the single class fee of $18 for Levels 1 and 2, or $20 for Levels 3 and above, or buy a monthly class pass below. January 7 — March 17. (Winter pdf) Check the Calendar for current info. 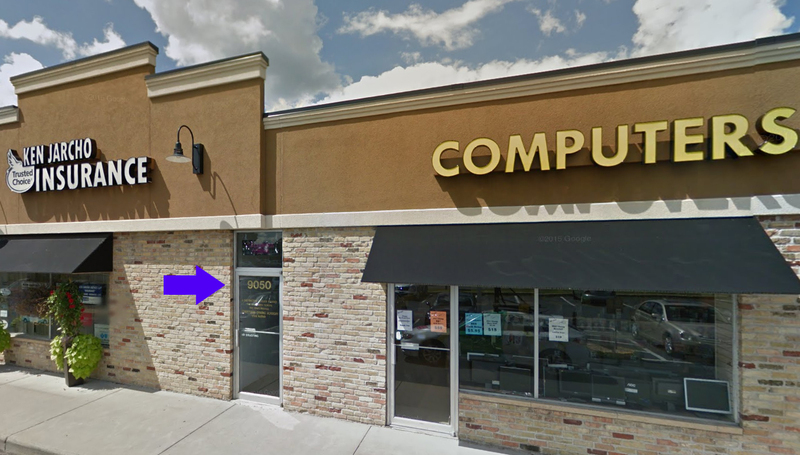 Join us for FREE mini classes at our Open House on Sunday, January 6, 11am-2pm at our 3010 Minneapolis studio location. *NEW STUDENTS - receive $10 off your Winter Session if you register at Open House! Monthly Class Pass: Good for one calendar month of unlimited classes. Levels 1 and 2, only $105. Levels 3 and above, only $115. Buy the cards at class. No carryovers to a different month. You may still drop-in to any Winter Session class. Pick a class and then just show up and pay when you arrive at your class. Bring a friend deal: When you and your friend register for the whole 10-week Fall Session, you each save $20! *Note: At least one of you must be new to The Cassandra School. Bring a Friend Deal: When you and your friend register for the whole 10-week Fall Session, you each save $20! At least one of you needs to be a new student in order to get this deal. If you are not doing the bring a friend deal, you may register as per normal, or drop in for a single class, or buy a monthly class pass below. Good for one calendar month of unlimited classes. Levels 1 and 2, only $105. Levels 3 and above, only $115. No carryovers to a different month. To register for a class or classes, click on a class above to highlight it, fill out the information below and click Submit. New student or new address? You have successfully registered for class. Payment is due by the first day of class. Pay now using a credit card or PayPal, by clicking the Buy Now button. Bring payment to the first class. Note: The decision to cancel classes due to weather or other unforeseen circumstances is made 2 hours before class. To find out if your class is cancelled, click the Today's Classes button at the top of this page. We're sorry, but something went wrong with your registration. Please try again or call the office at 612-872-6050. 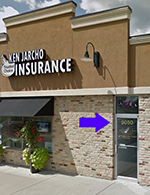 Our Bloomington studio is located 7 blocks east of I-35W at the 90th Street exit. It's in the lower level of the Great Bear Shopping Center. The entrance, below the lit Cassandra School sign, is near the center of the mall. Will there be other women my size in the class? Yes, there will be women of all sizes in the classes. The beauty of this dance form is that it makes you feel wonderful in your own body, no matter its size or shape. Am I too old/young to learn? Too old? Never! Our classes are filled with women of all ages, mostly 20s to 70s, and we do accept girls as young as 13. Classes are geared toward the adult learner, so girls younger than 13, due to shorter attention spans, must be accompanied by an adult. I have an injury; can I still take the class? This depends on the type of injury and your doctor’s advice. Speak with your teacher about past injuries or body weaknesses so that she can give you alternative exercises or movements if necessary. Mostly you need to learn the difference between good and bad pain so that you don’t aggravate the condition. Some conditions can actually be improved through proper exercise. For example, lower back problems may be lessened by strengthening your abdominals. Learn to listen to and respect your body. Our Level 1 classes are geared for non-dancers. You will learn basic movements and then build upon them. If I am a dancer, do I still need to take Level 1? Yes. You may progress more quickly than a non-dancer, but you need to learn the basics, as they are the building blocks for more advanced technique. Again, belly dance uses the body in very different ways than other dance forms. You will also need to learn how to play finger cymbals. No. As you develop as a student you may choose to perform or not. Many students take classes just for their own pleasure. If you do wish to develop performance skills, there will be student opportunities that your teacher will let you know about. Whether you wish to perform or not, attending performances is very educational. Belly Dance is a term for a beautiful feminine dance form from the Middle East. Its movements are thousands of years old and are based on traditional folk dances. Belly dance differs from Western dance forms by emphasizing the torso and using isolations to express the rhythmic and emotional qualities of Arabic music. Traditionally, it is an improvised solo dance — a dancer’s personal interpretation of the music. Attend Jawaahir’s performances and you will get a better feel of what the dance is about and its roots! Yes! The dance is a great total body workout that builds strength, is easy on your joints, and increases your flexibility. Belly dance is also a great emotional release because it is fun and creative! The classes start with warm-up and conditioning exercises to help you prepare for the movements you will learn. Classes continue with instruction in dance movements mixed with finger cymbal instruction. The classes close with stretching and cool-down exercises. All of this is done to an array of fun Arabic musical selections. The Cassandra School offers year-round classes in 10 week sessions. Beginner and Level 2 classes are 90 minutes long. Levels 3-5 and some special classes are 2 hours long. There are three ways to take classes: show up and pay for a single class, register for a 10-week session, or buy a monthly card. Your first class at The Cassandra School is free. Get your coupon here. Do we learn a choreography in class? This will depend on the teacher. Traditionally the dance was and still is improvised, so a choreography or dance combinations are only tools to help you learn how the dance works with the music. The fun creative part comes when you learn to dance your own dance, as you feel it! Of course, and it will help you learn faster! How do I find out if my class is cancelled? The decision to cancel classes due to inclement weather is made 2 hours before class. To find out if your class is cancelled, click the Today's Classes button at the top of this page. If you want to get email reminders, just go to Calendar, double click on your class to open the details window, and in the upper right corner select Reminder. Put in your email address and CalendarWiz will automatically send you an email reminder every time your class meets. If class is cancelled, the class title will include CANCELLED. Be sure and set the reminder time to be within 2 hours of your class time. Every teacher has a different style, and we completely understand if your teacher is not right for you. If that happens, feel free to switch to a different class. Do I take each level for one session? Like most dance schools programs, students remain at a level for about a year before moving to the next level. So usually a beginner student has studied for 0-1 years, Level 2 for 1-2 years, Level 3 for 2-4 years, etc. There is a lot of material to learn and master at each level which the next level will build upon. All this depends on your ability and, oh yes, how much you practice. Your teacher is your best guide and will tell you when you have mastered a level and are ready for the next. What is the minimum number of students needed to have class? If, by week two of a new session, there are fewer than 3 students registered for a class, that class may be cancelled for the remainder of the session by The Cassandra School. You are more than welcome to find another class that will work for you and make up any missed classes within the session. We recommend beginning dancers start Level 1 within the first 3 weeks of a session because the class is progressive. We want you to have fun and not get frustrated by not understanding the movements and isolations, and zil patterns that have been taught and are being built upon. What if I missed the first three weeks but want to start now? If you can’t wait for the next session, call the office to see whether we have an opportunity for you to join a class already in session. No guarantees, but we’ll try to accommodate your enthusiasm. Register at your first class. We accept cash, check (written in blue or black ink), and credit cards. What if I pay for a session and miss a class? We do not carry over missed classes from one session to the next. If you pay for a session you may make up missed classes any time during the session. If you are in Level 1 you may attend any other Level 1 class by simply showing up and telling the instructor you are doing a make-up. Students in Level 2 and above may attend any class at their level or a level close to their level. Wear workout or dance wear, something comfortable to move in that you don’t mind sweating into! We dance barefoot, so you don’t need special footwear. Some students do wear dance slippers, half sole shoes, or sandals, but that is a personal choice. Do I need a hip scarf? You are welcome to bring or purchase a hip scarf to accentuate the movements, but it isn’t necessary. We do have some hip scarves available for purchase should you develop a craving we call bead lust, the strong desire for something sparkly! Do I need finger cymbals? We teach all students how to play finger cymbals, or zils, starting at our beginner level and continuing through all levels. The Cassandra School does provide zils you can use during our beginner classes. We sell them and encourage you to purchase your own so that you can practice on your own. Do I have to wear a costume for class? No. This is a good workout — it would be too hard on the fine fabrics of a costume. If you still have questions, call us at 612-872-6050.